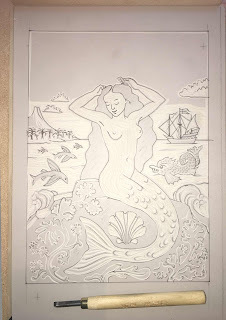 Here is the current state of the latest mermaid linocut. Apart from a few wavy wiggles the sky will be more-or-less white. 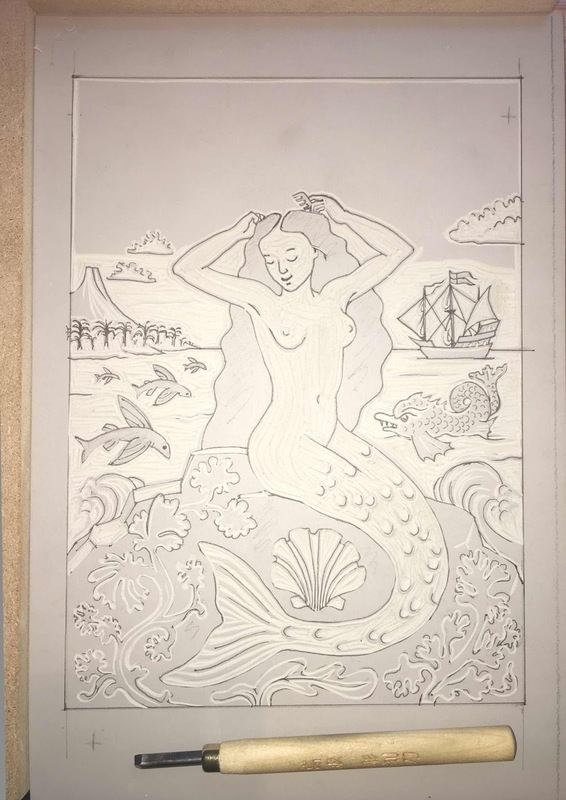 In the background you can see the volcano on St Doris Island and on the other side is Drake's Golden Hinde at anchor, as described in Sir Henry Herring's book, S. Doris Iland and the Divers Marvells therein, as quoted in A Mermaid in the Bath by Milton Marmalade.